The studio is located on the 5th floor attic. 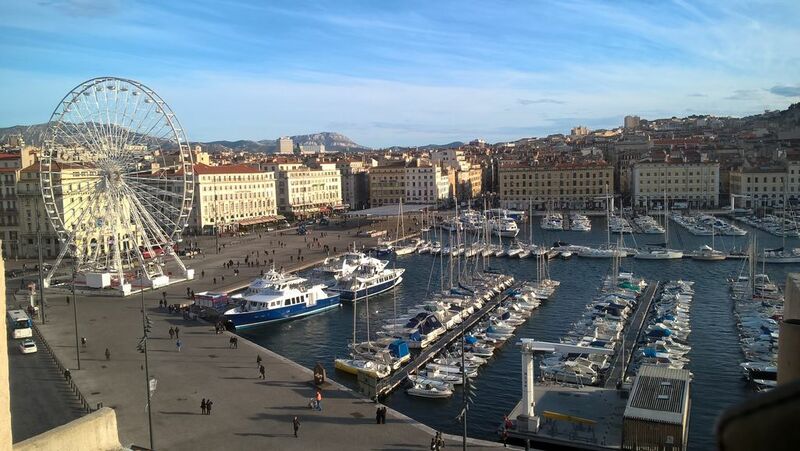 You have to climb some more stairs to access the terrace and enjoy an exceptional view of the Old Port. perfectly équipé.Le bed accommodation is of a high Bz very comfortable range and are provided: sheets, pillows and pillowcases and a duvet. Hot water balloon feeding sink and shower. Hairdryer, .... toilet on the landing, but exclusive. ceramic hob, TV, coffee maker, kettle and crockery are available. There is a shower with hot water tank. The toilets are on the landing, but exclusive. Le chèque envoyé pour réservation fera office de caution et la location se réglera à l'arrivée.